An aluminium bifold door will offer an unobstructed view out onto a garden, or views to a stunning landscape. With the option of between 2 and 7 panes and a width of upto 6450mm! We also offer UPVC Bifold Doors as a more cost effective alternative. Prices starting from only £1896.00 All our prices include VAT Delivery is FREE! New to the range are our aluminium folding doors. These state of the art bi-folding sliding doors aluminium, are fast becoming the preferred choice with homeowners and construction companies alike. With a anthracite grey aluminium bifold door being the number one colour on the popularity list. Aluminium bi folding doors (unlike upvc bifold doors), come complete with a slim central sight line of just 132mm, giving aluminium bifold doors uk, a sleek and ultra modern look. White aluminium bifold doors are available from stock with fast lead times, so select ‘aluminium' as the material type above, and get started customising! Open up your home with an Aluminium Bifold Door and bring the outside in! Allowing you to enjoy unobstructed views of your garden, whilst creating a seamless transition between the outdoors and the in, aluminium bifold patio doors are the perfect way to enhance the functionality of your home. Creating a feeling of light and space by welcoming more natural light into a wide range of living environments, our secure aluminium doors are stylish, precisely measured, and bespoke to your requirements. With a number of flexible opening options and incredibly slim frames, our affordable aluminium doors provide a seamless operation, offering an easy in and out access point. But don’t just take our word for it check out aluminium bifold doors reviews here. We understand that no two living spaces are the same, which is why our contemporary aluminium bifold doors are available in a wide range of colours, styles and sizes. Dedicated to meeting your exact requirements, we supply a variety of bifold door sizes, including standard sizes such as 2m, 3m, 4m, 5m and 6m aluminium bifold doors. Available in 2 panel, 3 panel, 4 panel, 5 panel, 6 panel and 7 panel options, all of our aluminium bifold doors are also available in a variety of different colours. From anthracite grey (RAL 7016)aluminium bifold doors and black aluminium bifold doors, through to white bifold doors and brown aluminium bifold doors, you’re sure to find a door that complements the décor of your home. Perfect for modern and traditional homes, our slimline aluminium bifold doors will always create a sleek, stylish finish. You can even opt for one colour for the outside of the door frame and a different colour for the interior frame! Our high quality powder coated aluminium bifold doors have been expertly manufactured in order to enhance the overall aesthetic appeal of your home. Powder coating involves applying a powdered polymer to an aluminium surface in order to create a smooth, durable finish that improves weather-proofing, enhances durability, and maximises the lifespan of your exterior bifold doors, while optimising aesthetics. The process is becoming increasingly popular, especially when it comes to enhancing bifolding doors and adding a layer of protection to ensure they’re perfectly equipped to withstand everyday wear and tear. Discover our full range of powder coated aluminium bifold doors. Our triple glazed aluminium bifold doors offer outstanding thermal and acoustic performance – qualities that are essential in any home environment. Perfect for a range of living environments, our bifold doors are also extremely energy efficient, making them perfect for keeping your household bills down, and of course, keeping your home warm and toasty all year round. Renowned for their long term performance and durability, our bespoke triple glazed aluminium bifold doors can be designed to meet your individual requirements when it comes to size, colour and style – allowing you to create the best aluminium bifold doors for your home. So, whether you’re looking for grey bifold doors, white aluminium bifold doors, or anything in between, you’re sure to find the perfect solution in our collection. 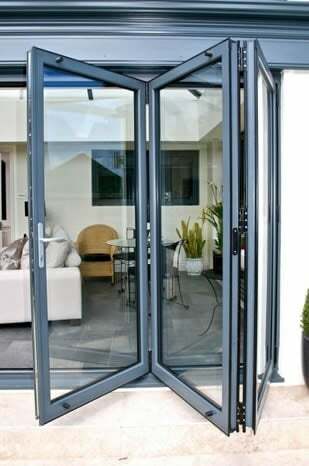 Slimline aluminium bifold doors are perfect for creating an inviting entrance to your property. With their narrow frame and low density metal, slimline bifold doors offer outstanding strength and durability, without imposing on the overall aesthetic appeal of your home. All of our ultra slim aluminium bifold doors can be designed and installed with your exact design requirements in mind, and can be tailored to match both your interior and exterior décor. Allowing you to enjoy uninterrupted access to the outside of your property and stunning views of your outdoor space when closed, these small bifold doors also come in a range of different colours and sizes, offering optimum flexibility and versatility when it comes to enhancing your property. Check out our full range of contemporary aluminium doors. One of the main advantages of aluminium external doors is that they can be built to meet the spoke requirements of your property. Offering a huge amount choice when it comes to style, size and design, all of our bespoke products are built on site in our bifold door factory and installed with your individual needs in mind. Manufactured to optimise security, flexibility, and functionality, without compromising on aesthetic appeal, all of our doors are made to measure and are available with a choice of internal and external security handles, as well as a variety of glazing and pane options. So, whether you’re looking to enhance your extension with bifold doors or even install a bifold garage door, you’re in the right place! Get in touch to find out more about our made to measure aluminium bifold doors in the UK. Our external bifold doors are perfect for creating a dramatic focal point in any property, without compromising on security, flexibility, or efficiency. 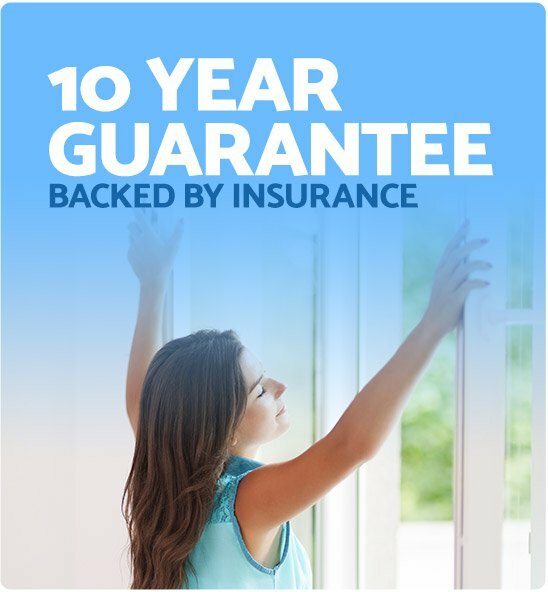 Boasting a 10-year insurance backed guarantee and a high security shootbolt locking system located in a concealed track, all of our smart aluminium bifold doors offer superior security. These doors are also extremely durable and internally glazed for added security, featuring toughened Argon filled glass that is ideal for preventing heat from escaping from your property. How long will it take for my Aluminium Bifolding Doors to arrive? Once you’ve ordered your aluminium bifold doors and our surveyors have measured up, our professional and experienced installers aim to fit them as quickly as possible. As well as providing aluminium bifold doors in Surrey, Sussex, Kent and Essex, we also cover all other areas of the UK. 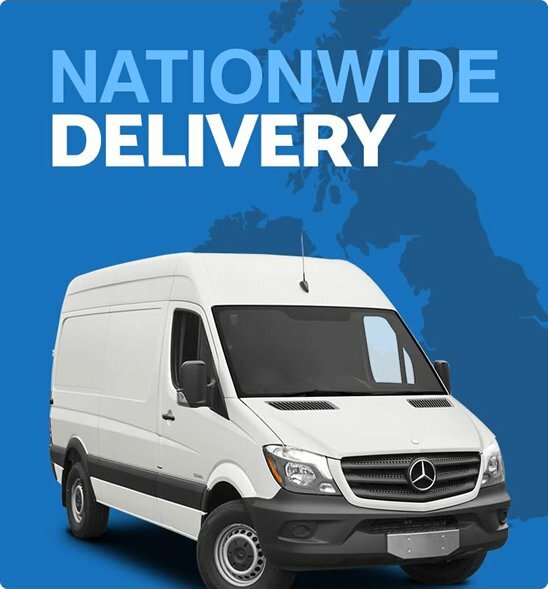 The vast majority of our deliveries are made within 2 weeks of the order being placed. Most installations take no longer than 1 day to complete and, if we envisage the fitting taking longer, we will always let you know before starting the work. Please note, some profile colours are not stocked and need to be made at time of order. In these cases, delivery can by approximately 4 weeks. Aluminium bifold door prices - Competitive prices, without compromising on quality! How much do aluminium bifold doors cost? We pride ourselves on offering exceptional choice, value, and speed, without compromising on quality. All of our high quality aluminium doors for sale have been manufactured to the highest possible standard and we pride ourselves on providing high quality but cheap aluminium bifold doors. 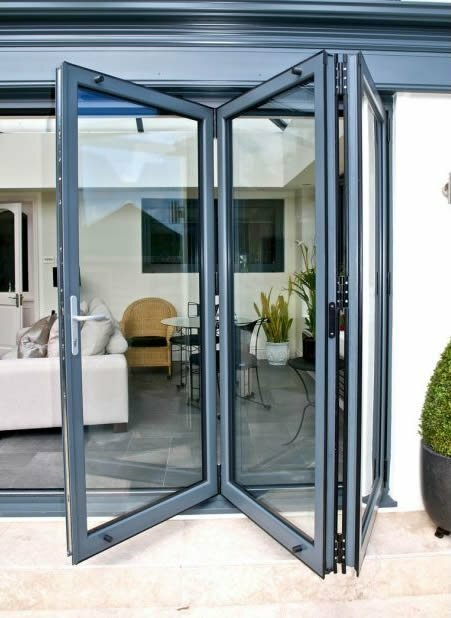 We’re one of the UK’s most experienced, trusted suppliers of aluminium bifold doors and we always go above and beyond to ensure that all of your requirements are met, at a competitive price. For our aluminium bifold doors price list, get in touch today. Discover perfect fit blinds for Aluminium Bifold Doors! Blinds for aluminium bifold doors are not only practical, they often play an essential role in restricting sunlight from entering your property as well as optimising security and privacy. What’s more, they can also create a striking focal point. 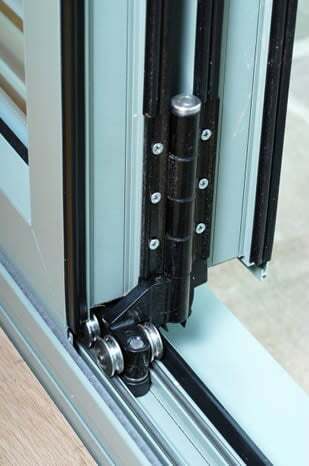 With this in mind, we supply a variety of aluminium bifold doors with integral blinds. Available in a wide range of designs, fabrics and colours, our blinds are all made to measure and are a great way of trapping heat during the colder months, so you’re able to enjoy your favourite spaces in optimum comfort. 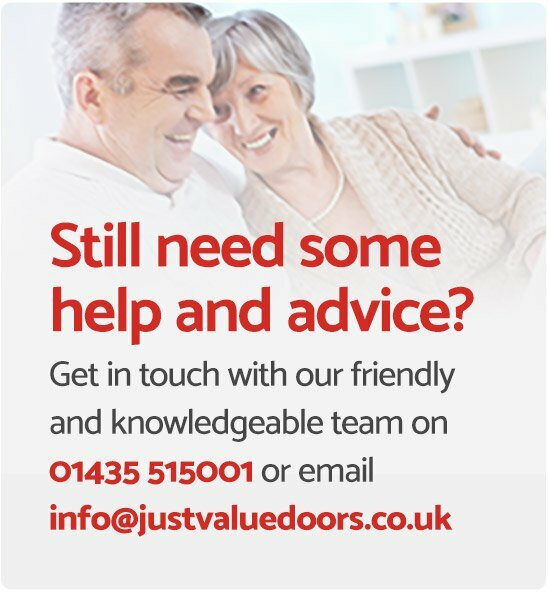 To find out more about our doors or if you’d like to discuss how much bifold doors cost, get in touch. 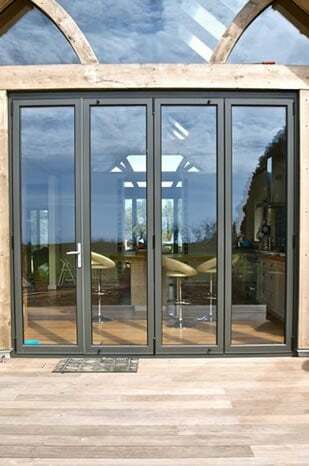 We’re also happy to answer any questions you might have about aluminium bifold doors for trade. Not sure aluminium doors are for you? 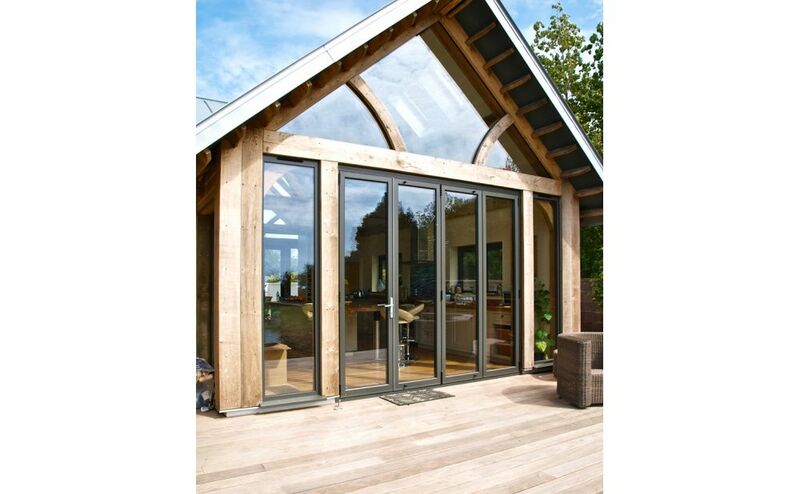 We also offer a huge range of UPVC bifold doors, and more. Get your Aluminium bifold door instant quote today! 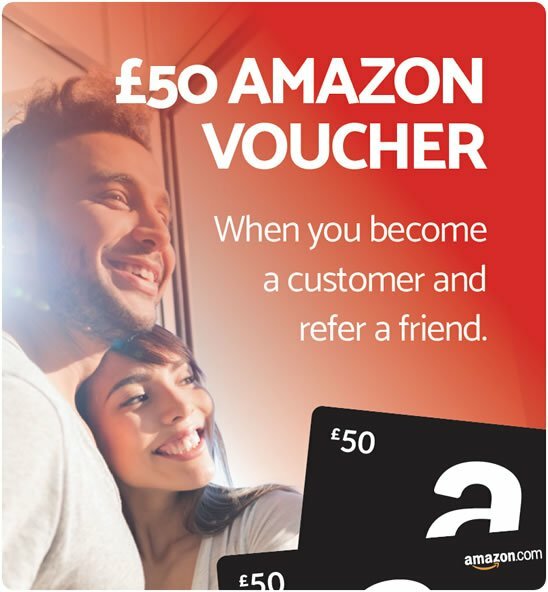 For your free, no obligation quote, get in touch today! Or if, you’d rather receive an online quote for your aluminium bifold doors, check out our bifold door configurator by selecting a product from above.